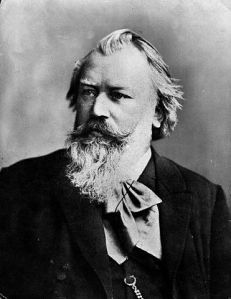 Most recently, I have stolen from Johannes Brahms’ Four Serious Songs and adapted them to trombone. Now this is obviously not a new concept; many adaptations are available for trombone here. Despite the many adaptations available, I have enjoyed working from the vocal (contralto) score. One of the advantages of working from the vocal score is viewing the text. Fortunately, the version I am using contains German, English, and French text.